The 5th annual Minneapolis Underground Film Festival begins tonight — August 17 — and runs throughout the entire weekend at the St. Anthony Main Theater. To help get in the mood for the dangerous films that will be on display for three awesome nights, filmmaker Greg Hanson has concocted the fairly disturbing official trailer, which you can watch above. Like most of Hanson’s work, it walks the line between fun and terrifying. The festival opens today at 4:30 with a preview of the films screening, plus a brief selection of short films that will be followed by three feature-length documentaries: Marten Persiel’s This Ain’t California, JJ Kelly & Josh Thomas’ Go Ganges! and Michal Kosakowski‘s underground hit Zero Killed. The rest of the fest is filled with quirky thrillers like Spencer Parsons‘ Saturday Morning Massacre and Derek Franson’s Comforting Skin; oddball foreign films like Axel Ranisch’s Heavy Girls; plus, tons of short films including a few by Hanson and ones by Underground Film Journal faves Carey Burtt and Paul von Stoetzel. 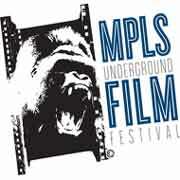 If you’re in the Minneapolis area, the fest promises to be a great time for lovers of way-out-of-the-mainstream film. And if you’re not lucky enough to be in Minneapolis, just watch the great trailer above. It’s a winner!